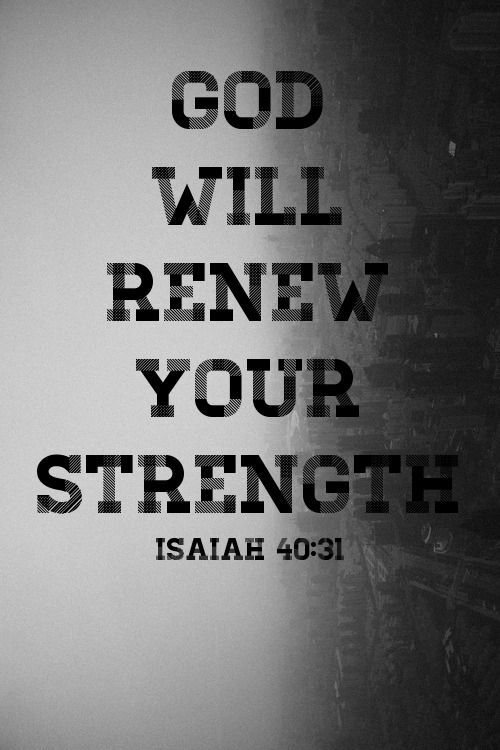 I will renew your strength as you wait on Me, says the LORD. You will know that your trust in Me has not been a vain thing. It will produce good fruit, for I will give you the desires of your heart and cause my blessings to rain down upon you. You will not be able to contain all that I have for you, even as the children of Israel could not gather all the manna that I sent them from heaven. Even as I gave them daily bread, so shall I bless you with daily benefits. Because you have given yourself and substance to Me, I will cause you to reap continually. You will be sowing and reaping at the same time, says the LORD, and the harvest of blessings will be great. I will multiply your blessings and give you an increase of joy, says the LORD. You have sorrowed long enough. For tears, you will have laughter. You will laugh and sing as never before. You will not be able to contain your joy, for it will erupt from you and spill out into your environs, touching all those around you. I will give you an overflow of My Spirit, and your life will have an impact on many for My kingdom and My glory, says the LORD. I sure hope so, it’s been a long season of misery. I receive this in TMNOJ!!!!! Receive for me and my Tribe! Amen and Amen.Recieved in JESUS Holy name.